Massive mailbag this week. Maybe the biggest in RAB history. Thirteen questions total, so I tried (and mostly succeeded) to keep the answers short. You can send us questions via the “For the Mailbag” form in the sidebar. I know it doesn’t look like the question goes through, but trust me, it does. Vinny asks: Alex Rodriguez: hitting coach. Discuss. It’ll never ever ever ever happen for a million different reasons, but I think A-Rod would make a pretty good hitting coach. The guy was put on this planet to play baseball. He knows as much about baseball as one person could possibly know and has worked tirelessly on his swing throughout his career. I’m sure he can help players with their offense. The real question is whether his communication skills are good enough. Coaching is as much about communication as it is knowing the ins and outs of the craft. But, like I said, it’ll never happen. The Yankees would sooner not have a hitting coach than hire A-Rod in any kind of authority role. Daniel asks: Alex Rodriguez currently sits at 2,939 career hits. He will very likely reach 3,000 hits in 2015 even with a bad season. The media will be unbearable. The Yankees front office will be so awkward. Barry Bonds set the HR record after his BALCO scandal, and he was still celebrated. But that was uncharted territory and so much has happened since. How do you think this all gets handled? I wouldn’t say it’s “very likely” Alex will get those 61 hits next year, but it is definitely possible. He’s way to much of an injury risk to count on him staying on the field that long. Anyway, it’ll be incredibly weird whenever A-Rod gets to 3,000 hits. Bonds was absolutely loved in San Francisco, which is part of the reason why his homer chase was celebrated. Everyone hates Rodriguez, even Yankees fans. Also, unlike Bonds, Alex has actually admitted and been suspended for his PED stuff, which changes the equation. My guess is the accomplishment will be downplayed as much as possible and we’ll get another round of articles saying it is morally wrong to take PEDs. But the Yankees will probably still sell some A-Rod3K merchandise. Cash, as the kids say, rules everything around me. Bhavin asks: It seems like every time the Yankees are interested in a player there are other teams involved and “raising the price” to sign a free agent. How come Brian Cashman doesn’t do the same for other teams? Would it be a smart strategy to make your competitors spend more money than they are comfortable for the same player even if NYY are not interested? Oh the Yankees definitely do this. Heck, earlier this week Cashman said the only reason they said they were still interested in re-signing Robertson was to drive up the price. (That was much as thank you to Robertson as it was trying to get a competitor to spend more.) Even when the Yankees aren’t involved, agents float rumors saying the Yankees are interested in their clients too because it helps inflate the market. That’s why they’re connected to almost every big free agent each winter. The Yankees absolutely 100% do this. Hunter asks: Since the Yankees need some starting pitching, what are the chances that they trade for Scott Kazmir? Billy Beane seems apt to trade him considering he’s in his walk year. Would it be a good move for New York, and who do you think it would take to get him? For what it’s worth, Joel Sherman says the Athletics aren’t looking to move Kazmir. The A’s do still need someone to pitch innings and he’s both effective (3.35 ERA and 3.55 FIP in 2014) and reasonably priced ($13M in 2015). The fact that he’s faded big time in the second half the last two years and is a fly ball pitcher scares me, but let’s roll with it. Three pitchers with one year of control were just traded in Jeff Samardzija, Mat Latos, and Rick Porcello. Of those three, Kazmir is most similar to Latos in my opinion. Latos fetched a good MLB ready pitching prospect (Anthony DeSclafani) and a good Single-A catching prospect (Chad Wallach). Not great prospects, not fringy prospects, good prospects. I guess the Yankees equivalent would be Bryan Mitchell and Luis Torrens, though that’s not a perfect match because Torrens is five years younger than Wallach. Of course, Kazmir is somehow the healthier of the two between him and Latos. Anyway, that doesn’t mean Mitchell and Torrens will be enough to get Latos. Different teams have different demands and different player valuations, and Oakland seems to be prioritizing quantity over quality in their deals so far this winter, with the caveat that most of the quantity be MLB ready. Maybe that means they would want Mitchell, Ramon Flores, and Jose Pirela instead? I dunno. Kazmir’s not a perfect fit for the Yankees but he would be an upgrade for the rotation for the one year they’d have him. Peter asks: Is a C.J. Wilson trade worth a shot? Lots of available pitching out there and if the Angels refuse to eat salary, maybe Cashman get him without giving up much. Do the Yanks and Angels even match up anywhere? 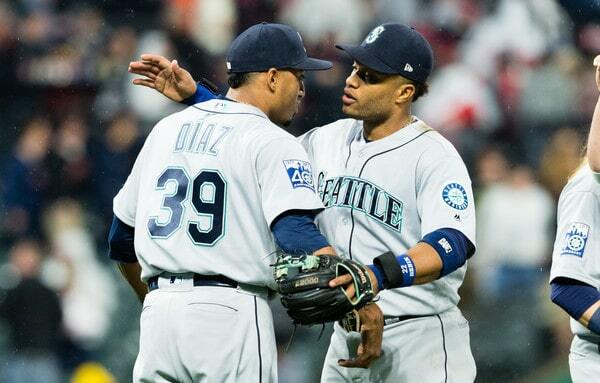 Wilson had a rough 2014 season, with a 4.51 ERA (4.31 FIP) and an AL-leading 85 walks in 175.2 innings. He’s owed $18M in 2015 and $20M in 2016 as well, so it’s no surprise the Halos are reportedly looking to deal him. Wilson was very good in 2013 (3.39 ERA and 3.51 FIP) and he had a run of four straight 200+ inning seasons from 2010-13 before an ankle sprain sidelined him for three weeks this summer. If the Angels eat enough money to make Wilson, say, an $8M per year pitcher these next two seasons, isn’t it worth at least exploring? (I wouldn’t touch him if I had to pay all that money.) He eats innings, gets grounders (47.8% in 2014), has some rebound potential (.306 BABIP in 2014 after .286 from 2010-13), and should some cheap. Maybe it can be similar to the A.J. Burnett trade, only with the Yankees playing the role of the Pirates. Brad asks: I know the Yankees are a business and don’t place a high premium on fielding a “likable” team, but the 2014 team was joyless and terrible. And Derek Jeter was still around. Shouldn’t the Yankees have placed a higher priority on retaining David Robertson? Ward asks: With rumors that the Reds may be trying to trade some of their pitchers to save money, what could the Yankees give up to get Chapman? The Reds cleared some salary yesterday with the Mat Latos — by the way, Mat Latos has a cat named Cat Latos — and Alfredo Simon trades, though it’s unclear if they hit their payroll target or still have work to do. Chapman isn’t all that expensive (owed $5M in 2015 and will probably make $10M+ through arbitration in 2016 before becoming a free agent) but he would bring back a major haul. He’s no worse than the second best reliever in baseball right now and a true difference maker. Lesser relievers like Joel Hanrahan and Andrew Bailey were traded for decent hauls a few years before free agency and I assume Chapman would blow those deals out of the water. My hunch is it would take one very good young MLB player, one top of the line prospect, plus a third lesser piece. For the Yankees, I guess that means … Pineda, Luis Severino, and maybe John Ryan Murphy? That feels light. I’m not sure they could put together a package good enough to bring Chapman to New York. Sam asks: With the acquisition of Didi Gregorius, will the Yankees still go after Yoan Moncada? If they do, does he work at short or third in the Minors? I don’t think the Gregorius trade will change anything with the team’s pursuit of Moncada. It shouldn’t, anyway. Moncada is still just a 19-year-old kid who is expected to start his pro career in Single-A. He’s not someone you worry about when building your MLB roster. Just about everything I’ve seen says Moncada has the potential to play just about anywhere on the field other than shortstop, though I suspect whichever team signs him will keep here there for a little while. If that doesn’t work, second base seems like the next logical spot. Richard asks: Why didn’t the Yankees go after Josh Donaldson? How do you know they didn’t? The Indians asked about Donaldson but the Athletics said they weren’t seriously considering moving him, according to Terry Pluto. This Donaldson deal is reminiscent of last year’s Doug Fister trade; there seem to be a lot of people wondering why the A’s didn’t shop around and get a better deal. Seems like they just really wanted the guys they got from the Blue Jays. Besides, the Yankees don’t have a player on par with Brett Lawrie they could have offered as a center piece. Alex asks: Knowing that trades with the Mets are rare, what about trading for Daniel Murphy to fill in 1B/2B/3B? Power numbers should go up. If you can lock him up, trading Gardner for him could work for both NY teams. Murphy would make a lot of sense for the Yankees, who could use him at every non-shortstop infield position if necessary. He might hit a few more homers in Yankee Stadium but his offensive game is more about spray line drives to left field, so I wouldn’t expect a huge boost in power. That said, he’s consistently been a .285+ AVG, .330+ OBP, 10+ homer, 10+ steals guy these last few years. The Yankees could definitely use someone like that, even if his defense stinks. I wouldn’t trade Gardner for him — Murphy will be a free agent next winter and there’s no sense in paying the Mets for the right to extend him (the “right to extend” is inherently included in every trade ever) — but I do think Murphy’s a fit. Dustin asks: If the Yankees miss on Chase Headley, would trading for Luis Valbuena be a good move? Or would you prefer starting Martin Prado and Rob Refsnyder? Valbuena is probably the best third base option on the trade market. He doesn’t have the name recognition of Chris Johnson but he hit .249/.341/.435 (116 wRC+) with 16 homers and an 11.6% walk rate last year. That’s pretty damn good. Valbuena just turned 29, has gotten better at the plate every year since breaking into the show five years ago, and the various stats say he’s a passable defender at second and third. He’s a nice little underrated player who’s cheap (projected to make $3.1M in 2015) and under team control through 2016. I’d prefer Prado/Valbuena to Prado/Refsnyder this coming season — it’s not really an either or because Refsnyder is still in the organization — and if the Yankees miss out on Headley, I hope their next call would be to Chicago about Valbuena. Even if he is only a league average hitter in 2015 (as the projections project), that’s still a nice upgrade for New York. Evan asks: Todd Frazier and Jay Bruce are both great fits. Brandon Phillips isn’t because he’s declining and his brutal contract. But assuming you had to take Phillips to get Bruce or Frazier what would that deal look like? I wouldn’t take on Phillips to facilitate a trade for either of the other two. I hate the idea of taking a bad contract to get a discount for another player — the bad contract negates the discount and, if you’re only trading prospects, there’s at least a chance they won’t come back to bite you whereas the bad contract will definitely hurt. I’d rather just pay full price for Frazier or Bruce than get saddled with more dead weight in Phillips. Bruce is a nice rebound candidate coming off knee surgery and Frazier is just a perfect fit for the Yankees — right-handed power, quality hitter, can play the two corner infield positions plus left field, under control through 2017, super high character guy, and he’s a local dude from New Jersey. What’s not to like? It’ll take a haul to get him after the year he just had though. Unless the Yankees are willing to talk about Severino or Aaron Judge, I don’t think they have the pieces to make it worth Cincinnati’s while. Man would Frazier be a great though. P.J. asks: Let me preface this by saying that I absolutely don’t want this to happen. That said, what would Dellin Betances be worth on the trade market? What if he was a FA (non-QO)? If he was a free agent, he’d probably get Andrew Miller/David Robertson money. He was awesome in 2014 but has no track record whatsoever. In a trade … that’s really tough to answer. When was the last time a player like Betances traded? An elite reliever with five years of team control remaining? The Athletics traded pre-shoulder mush Andrew Bailey when he had three years of control remaining and they received an adequate everyday player (Josh Reddick) and two nondescript minor leaguers. Do the two extra years of team control mean Betances fetches better prospects in addition to the okay regular? It’s really tough to gauge his trade value. I don’t think he can be a centerpiece in a blockbuster because, at the end of the day, he’s still a reliever, but maybe he can be the number two piece in a deal for an ace or a young, above-average everyday player. If that is the case, he is worth more to the 2015 and beyond Yankees as a trade chip, or in their bullpen?